Listen to this week's Business Beat with host Lauren Langille and co-producer Hellen Tian. 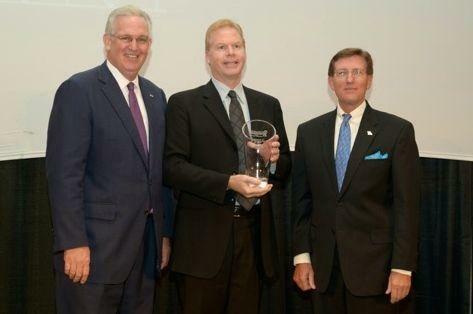 Jim Spencer, CEO of Newsy, received the Governor’s Entrepreneur of the Year Award earlier this month. Missouri Business Alert’s Maggie Angst caught up with Spencer, to find out where Newsy is heading. Newsy is a company that collects the day’s news stories from multiple news sources and produces videos that add analysis and context to the story. The videos are then delivered through the Internet to tablets, smartphones, computers, and even TV. Newsy was found in 2008, and this January, it was acquired by E.W. Scripps Company for $35 million. Last week, the Columbia City Council adopted its budget for the fiscal year 2015. City manager Mike Matthes called it a watershed year, saying it was time for the city to address the projects and services that had been postponed during the recession. But finding the money to do so is not entirely straight forward. Bram Sable-Smith from KBIA’s Civics Desk set out to ask: why?